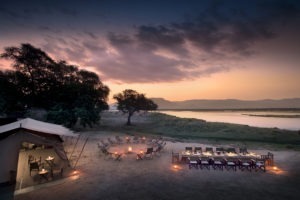 Situated on a private concession within Mana Pools National Park, Kanga Camp is a completely untouched wilderness paradise. The Camp is set in the remote inlands on the very productive Kanga Pan, away from the more traditional riverside Mana camps. 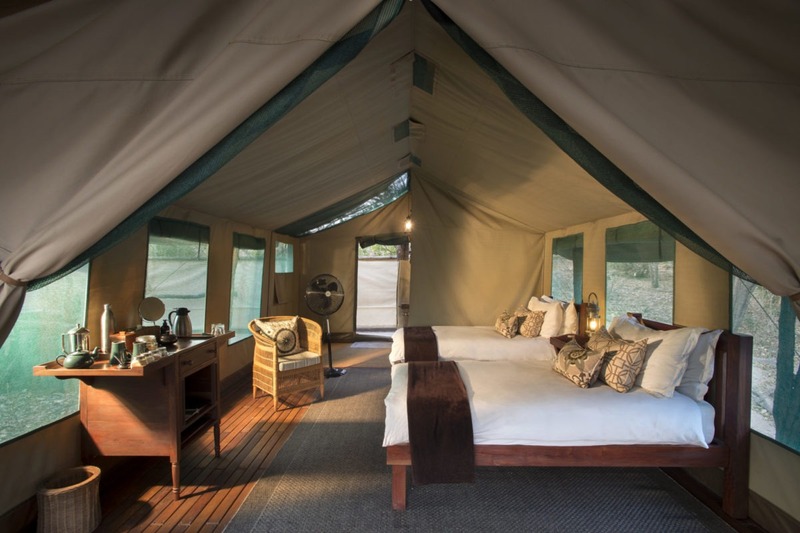 An intimate camp of just six tents, Kanga offers a traditional-style safari atmosphere, but with the convenience of a modern-day camp. 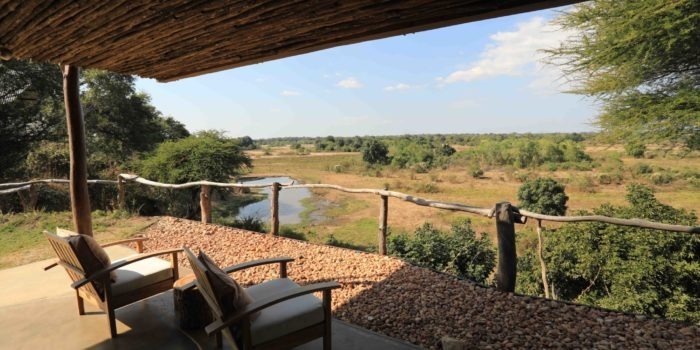 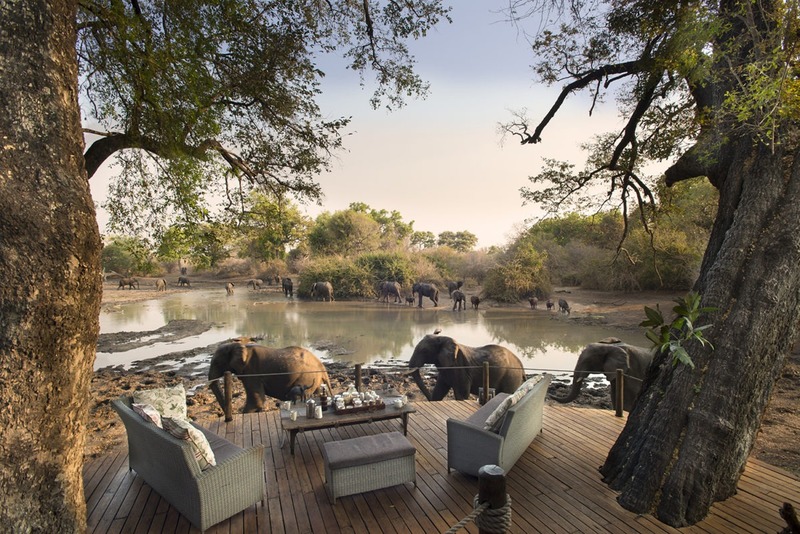 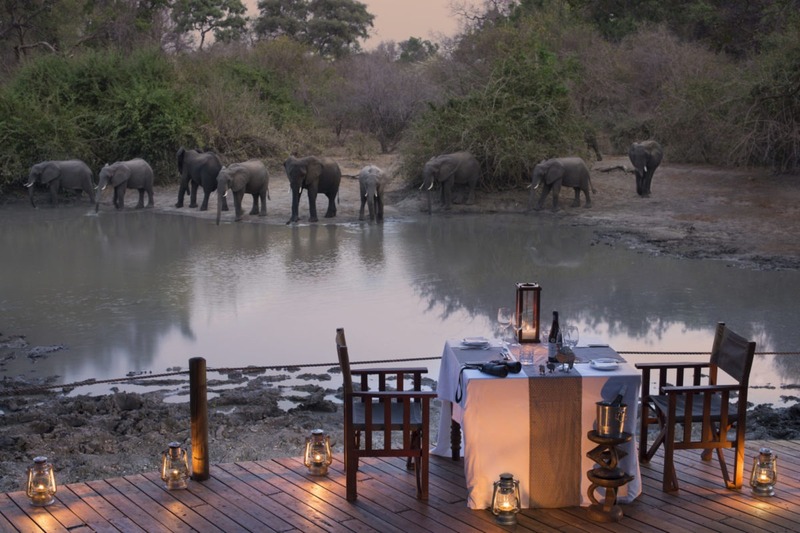 A more exclusive and magical safari experience is hard to come by, with fantastic wildlife viewing from the deck! 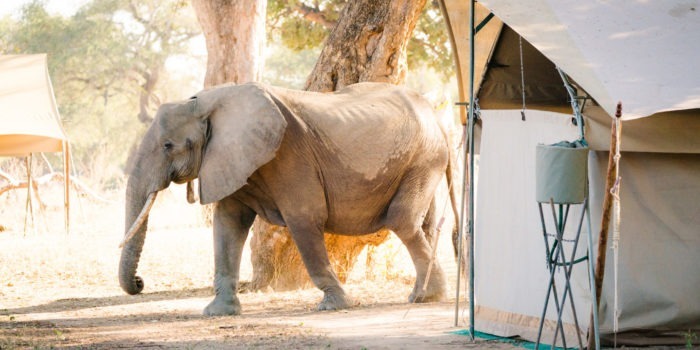 Apart from the Zambezi River many miles away, Kanga Pan is the sole source of water in a large area during the dry season, making it an absolute haven for wildlife bringing them literally onto your doorstep! Inaccessible during the rainy season, Kanga is only open from April to November. 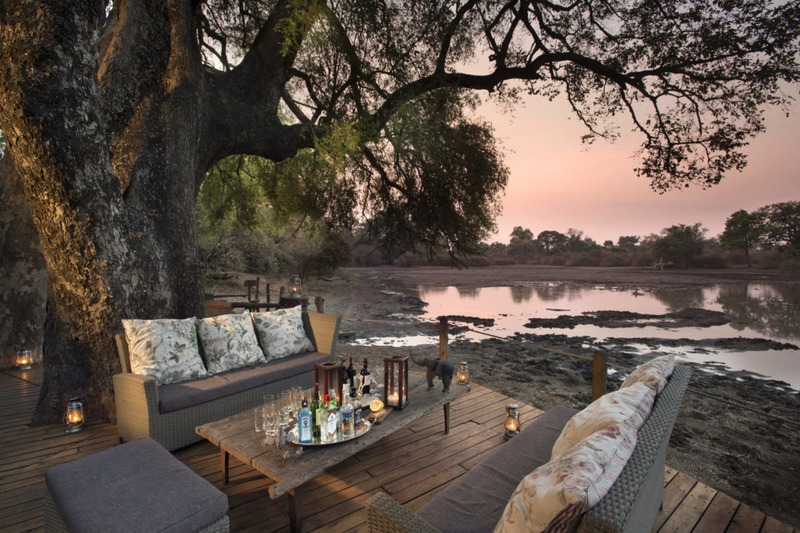 The main area is set below a few huge old Jackalberry trees overlooking the Kanga waterhole, with a series of decks for lounging and where meals are served. 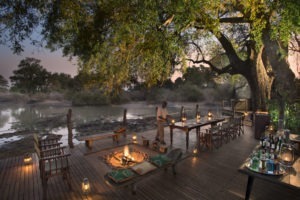 A small plunge pool overlooks the waterhole with a fire pit below, for those very special around the camp fire socials. 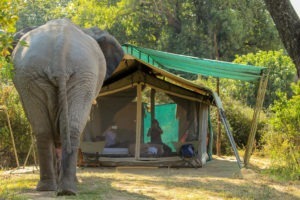 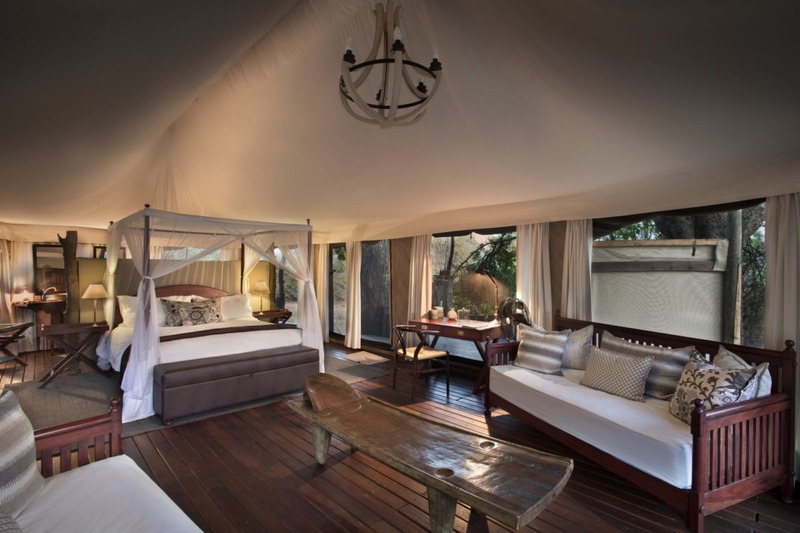 The six meru-style tents are well placed around the waterhole providing privacy and good views all round. 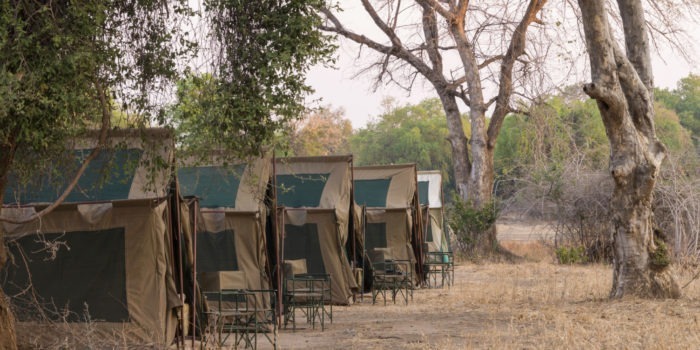 The tents are very comfortable with en-suite bathrooms and outdoor showers. 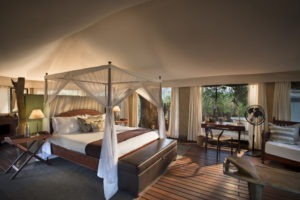 There is a family room that can accommodate four and also a honeymoon suite for the newlyweds! The best feature of Kanga Camp however is the sleepout deck high up in the tree canopy. 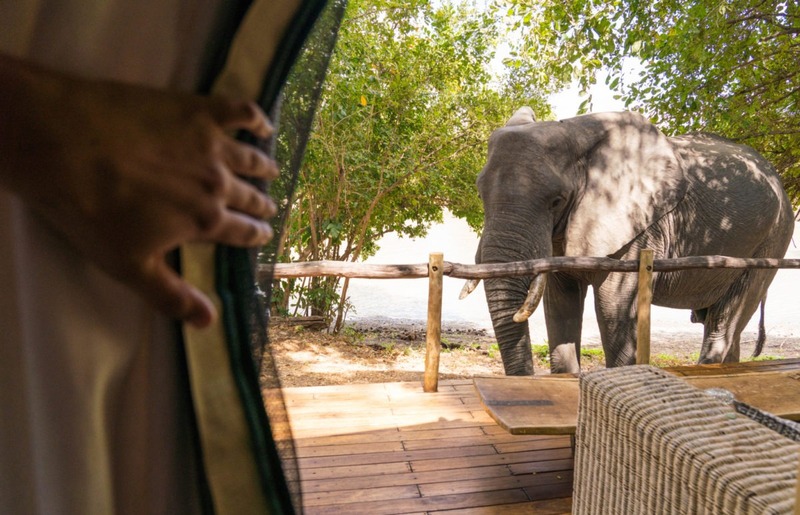 This allows for a very special experience, including walking there and back, and spending the night under the stars, including dinner. 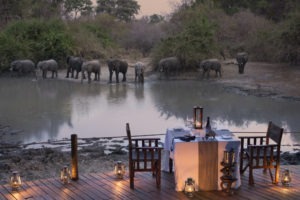 The very best making for once in a lifetime experience! 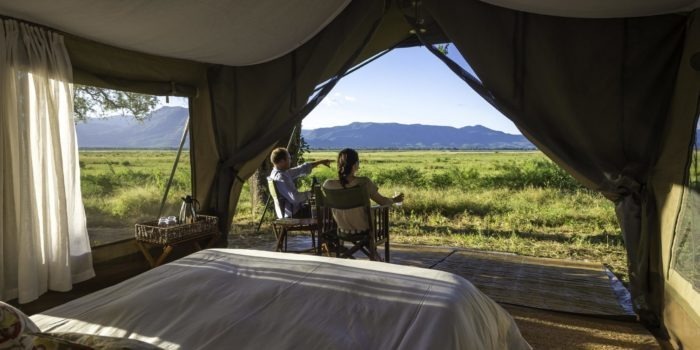 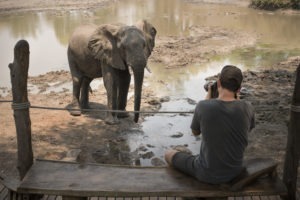 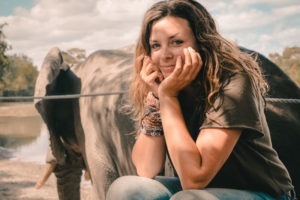 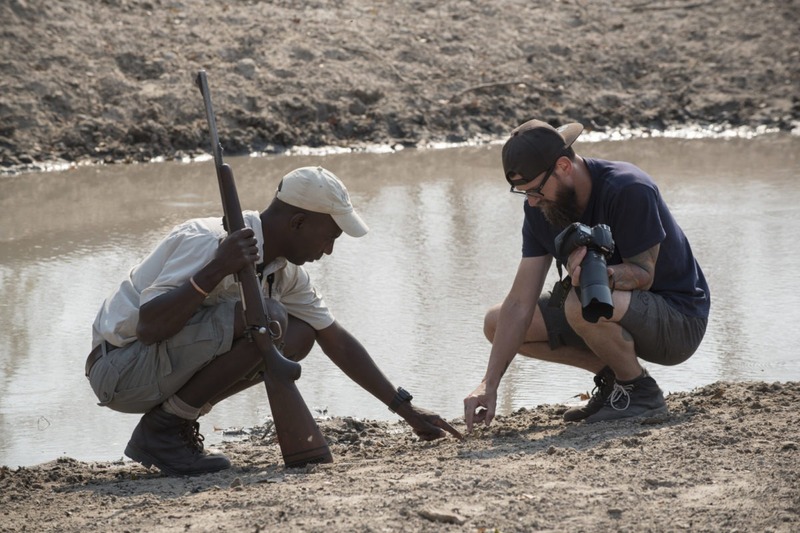 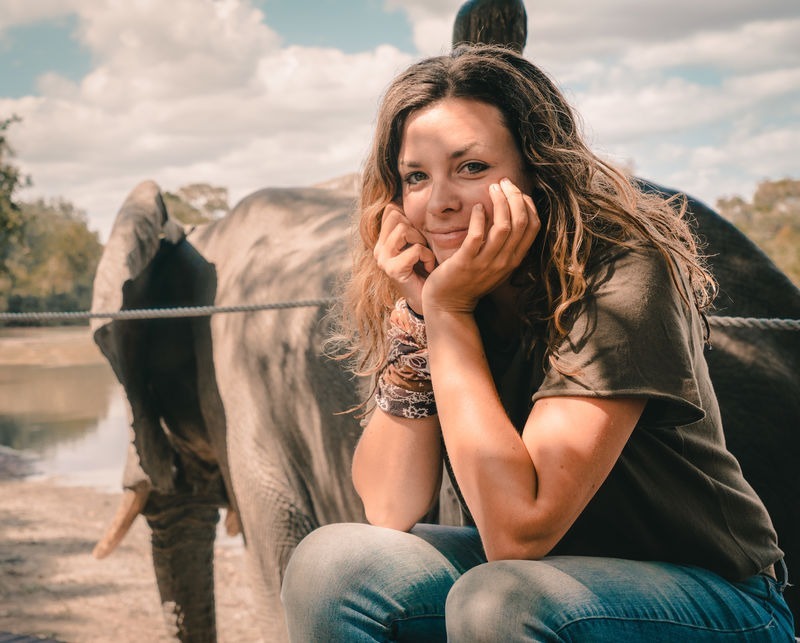 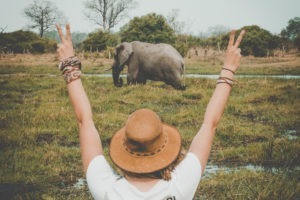 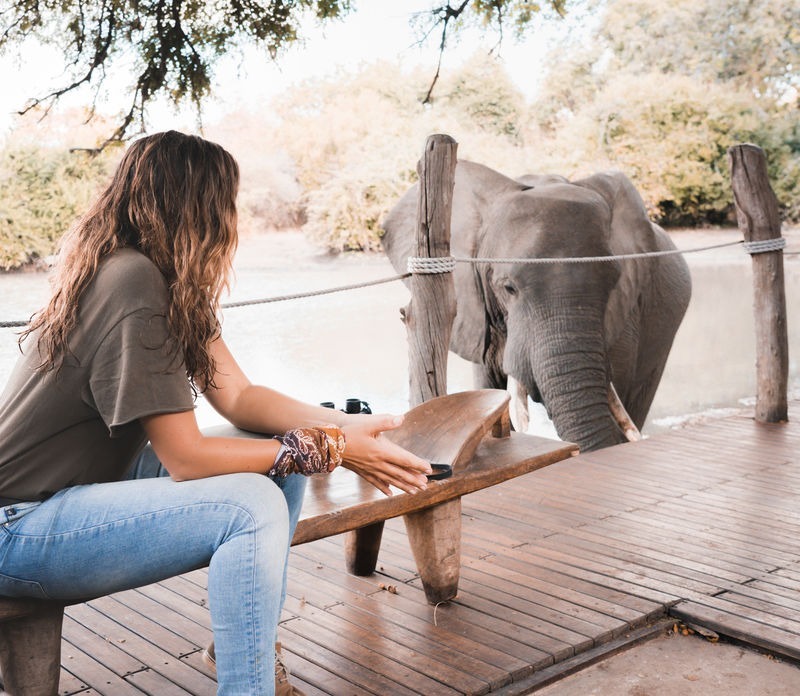 Set within the pristine wilderness area of Mana Pools National Park, you can expect flexibility in all your activities, including guided walks and day drives. 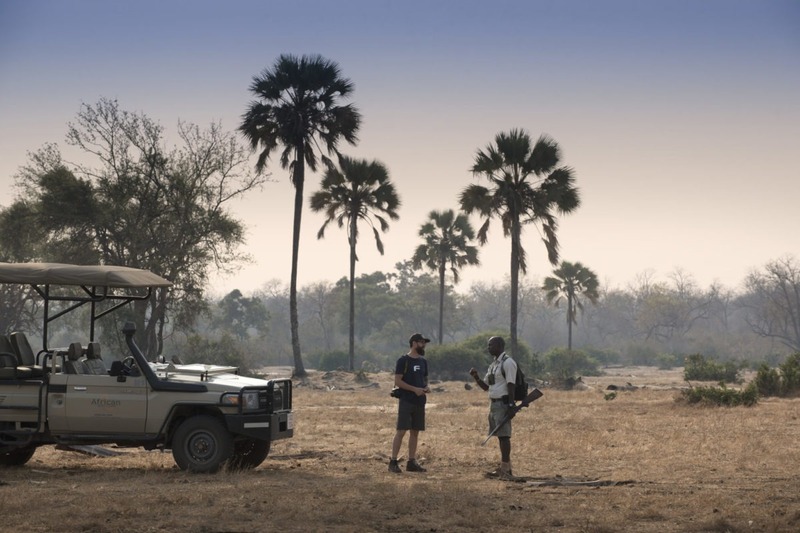 Here you will be accompanied by knowledgeable guides who will share their knowledge and love of the bush with you. 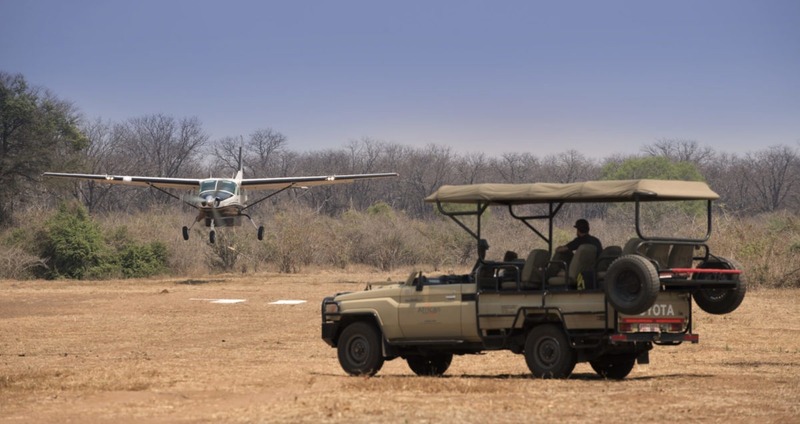 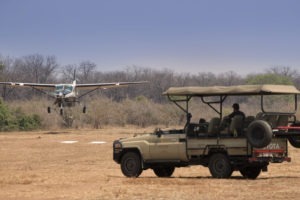 These include local game drives, or a trip down to the Zambezi River. 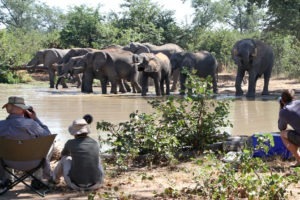 In addition bush walks are on offer for the large and small inhabitants of the unique ecosystem. 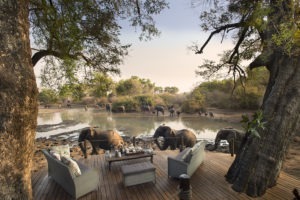 All activities are complimentary. Unique ‘away from the river’ experience. 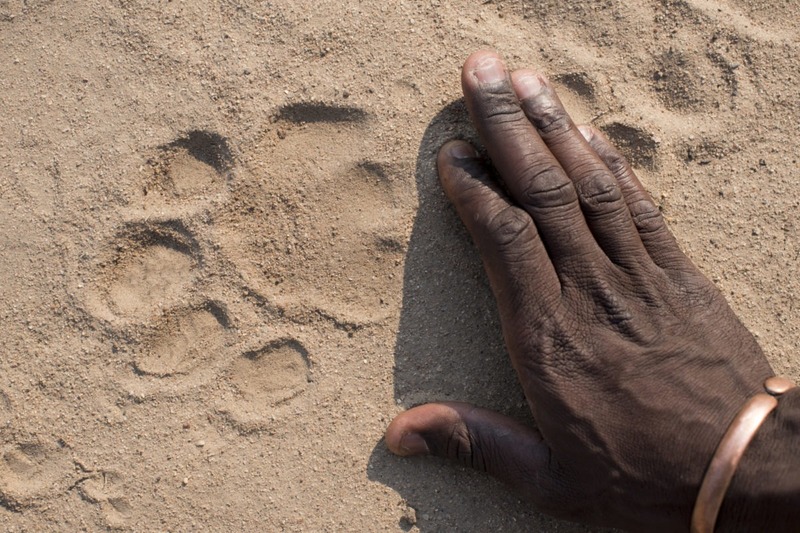 AWESOME sightings on your doorstep in the dry season! 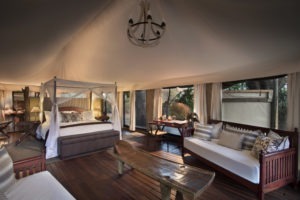 Sleep out on tree top deck, just magical! 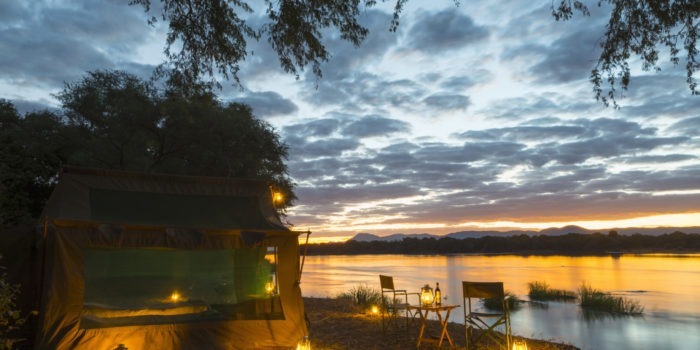 Varied activities also day trips to the river, giving you the best of both worlds. 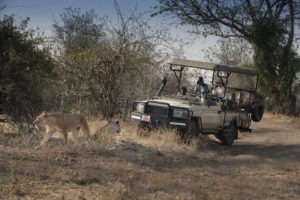 Great guiding and walking in this exclusive concession area.